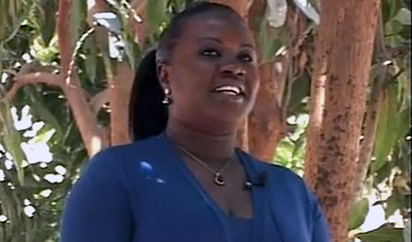 Ndeye Bineta, an English teaching professional, has yet to stop learning. During her online course for the E-Teacher Scholarship Program, she knew she would learn about academic topics like methodology and practical activities that will ultimately help her teach better. “As a result of taking the online course, my students’ interest in English classes has increased considerably,” claims Ndeye. Ndeye’s knowledge of English teaching increased as she learned about students’ needs, available classroom resources, practical classroom activities, and her own ability to create materials. But Ndeye learned more than just how to be a better teacher, she also learned about community. “I got progressively familiar with the participants and instructors in the online course to the point of being able to guess their reactions to my posts, or imagining the expressions on their faces as they commented on my post or read comments I made on theirs," says Ndeye. It is this community that she created when she was part of the E-Teacher Professional Development Workshop. “We had managed to bring our cultures together and form a big family to support each other and share some wonderful moments of friendship,” says Ndeye. She is still in contact with this “family” today—sharing resources and ideas so that everyone becomes a better teacher.